The Blue Devils are human. The No. 1 team in the tournament had quite the scare over the weekend. After a lackluster performance against North Dakota State on Friday, Duke was nearly sent home early by the UCF Knights in Columbia on Sunday. 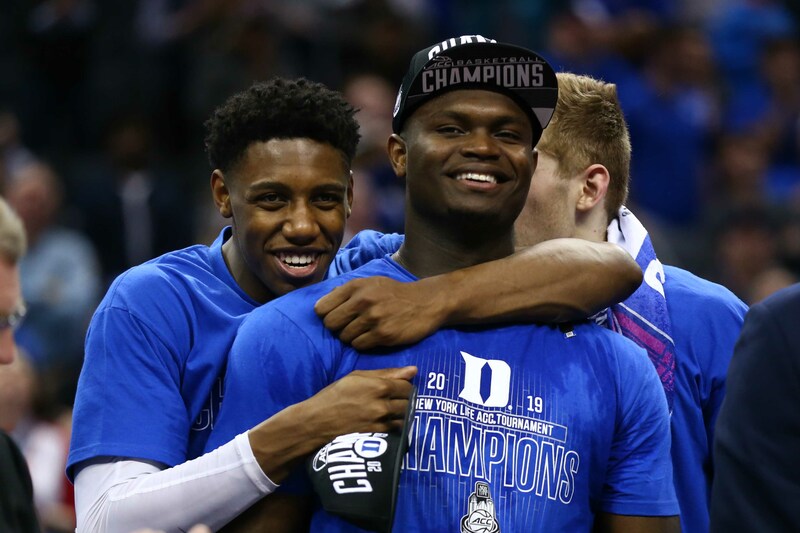 Duke’s weaknesses throughout the year were put on full-display. Former Blue Devil and current UCF coach Johnny Dawkins forced guys like Tre Jones and Jordan Goldwire to beat them from the outside, and the guard tandem went 2-for-11 from deep. 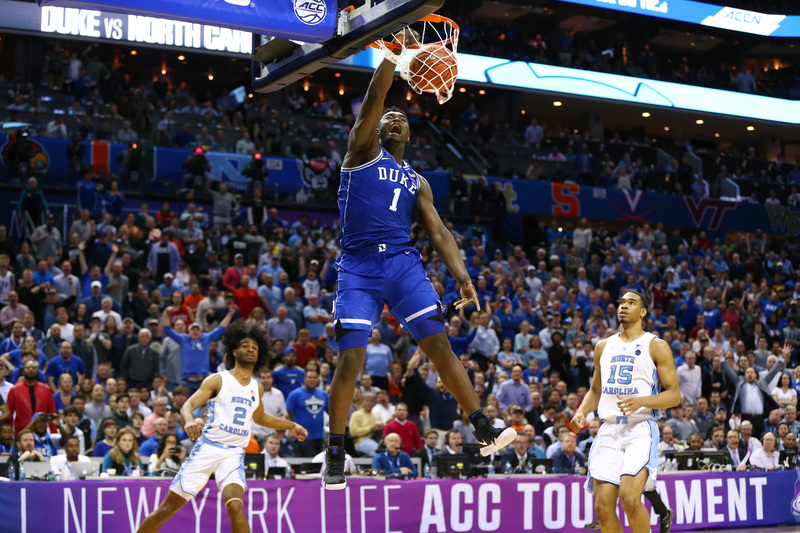 In the end, a tough finish at the rim by Zion and a putback by R.J. Barrett sealed the deal, but the Blue Devils hardly look like the 2-to-1 favorite they were pegged as after running through the ACC Tournament. They’re still pacing the group, but their lead is shrinking. 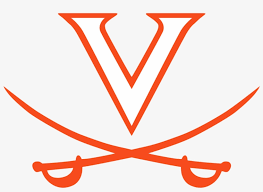 Relax, Virginia fans, you aren’t losing to a 16-seed this year. After surviving an early scare from the Bulldogs in the Round of 64 — bringing back unsavory memories from last year’s UMBC game — the Cavaliers have looked mostly sharp in the last three halves. The lone exception is three-point marksman Kyle Guy, who has struggled mightily with his shot. Guy opens up Virginia’s offense, and they can’t expect to win many games with him going 0-for-10 from beyond the arc. However, they likely have the easiest route to the Final Four of the remaining top seeds. There’s something off with this Zags team over the past couple of weeks. Maybe it’s the lingering effects of the stinker they put up in the WCC Championship game against Saint Mary’s, or the fact that potential lottery pick Rui Hachimura has scored in single digits in two of the last three games. Opponents haven’t been able to stop Brandon Clarke from getting to the basket, which is good, but a smarter, longer team (ala Florida State) could force the big man out of his comfort zone. For now, they’re still a top-4 contender, but they’re going to face two tough opponents before the Final Four and they haven’t beaten a great team since the Duke game in November. The hottest team in the country just a month ago seemed to cool off a bit in its NCAA opener. The Tar Heels were trailing against Iona after the first half 38-33 before unleashing a 30-9 run to start the second half. We know who Carolina is at this point. Their top-6 is legit, but their depth has gotten progressively worse over the year. Auburn is a scary matchup for the Tar Heels. The sheer volume of threes Auburn shoots could put UNC on upset alert. John Beilein continues to be one of the best game-to-game managers in all of college basketball. The Wolverines consistently have less talent than other blue-bloods, but no coach gets more out of his players than Beilein. Defensively, they are as stout as any team in the field, and the hot-shooting trio of Ignas Brazdeikis, Jordan Poole, and Isaiah Livers provide enough of a perimeter threat to keep other teams guessing. They haven’t lost to a team not named Michigan State since February 12th, and find a way to hang around in every game they are in. The Wolverines will be a tough out for any team. The Spartans’ late-season success doesn’t make a whole lot of sense. After losing Joshua Langford to a season-ending injury in January, most wrote off MSU’s title chances. 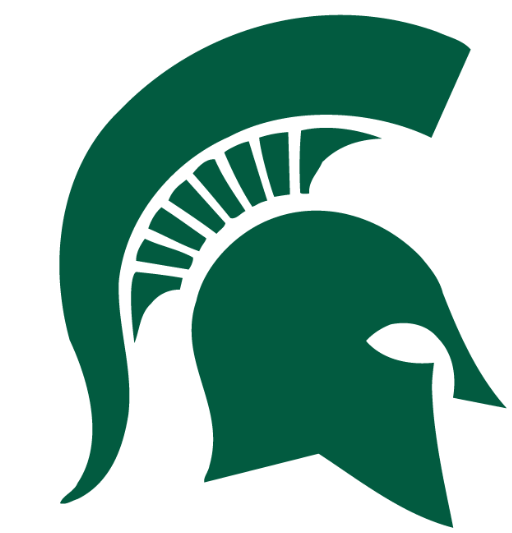 However, Tom Izzo’s work with his current squad further proves his place among the game’s all-time greats. Cassius Winston is one of the most dangerous ball handlers remaining, and the development of wing Matt McQuaid has been a nice boost on both ends. If Langford were with the team, Sparty would be a top-4 contender. Kentucky has the capability of being a good team with P.J. Washington. Kentucky cannot win a National Title without P.J. Washington. The Wildcats have enough talent to get by without their star, but it’s tough to envision them going through the rest of the field without their go-to scorer. Tyler Herro was the star of the Round of 32 — a key cog in Wofford’s Fletcher Magee having arguably the worst game of his career — but who will step up for the Wildcats next in Washington’s absence? Their title hopes hinge on the health of his foot. His status for their game against Houston remains unclear. 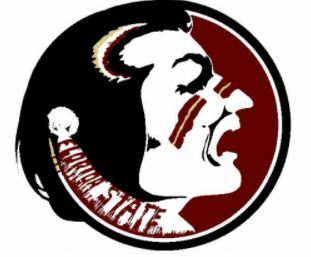 The Seminoles were a hot pick to make it out of the West region, and they could make a serious push with a victory over No. 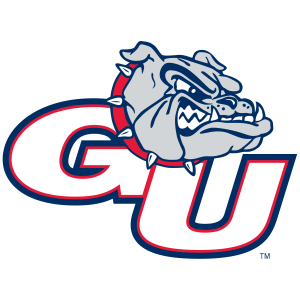 1 seed Gonzaga on Thursday. Florida State boasts all the tools of a potential Final Four team — length, depth, and experience. Sophomore Mfiondu Kabengele is coming off an enormous game against Murray State (22 points, seven boards, three blocks) and guard Terrence Mann has emerged as a psuedo-star for a team that can go 12-deep. Gonzaga will have their hands full with Leonard Hamilton’s team. 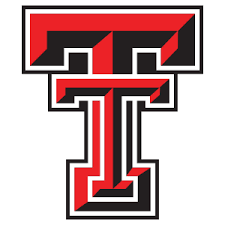 It has been a surprisingly strong start to the tournament for the Red Raiders. Texas Tech shook off an awful showing in the Big 12 Tournament by crushing their first two opponents. The 20-point victory over Buffalo was jarring, as the Bulls entered the tournament with an impressive 12-game winning streak. Jarrett Culver will be a top-10 pick in the upcoming draft, and having a player of his caliber is a distinct advantage over teams like Michigan and Florida State who don’t have a clear NBA-type guy. 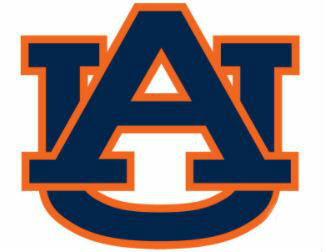 What a fine job Bruce Pearl has done at Auburn this year. The Tigers have been competitive all season, and are currently riding a 10-game winning streak which includes two victories over Tennessee and an obliteration of the Kansas Jayhawks. When they shoot the lights out, they can beat anybody, and Auburn’s shooters have been locked in since the start of March. Could the flame-throwing Tigers be this year’s Cinderella? Expect some fireworks in their game against the Tar Heels. I’m not entirely sure how the Volunteers could have looked worse in their first two games. After being up 16 early to 15-seed Colgate, the Vols let off the gas and were trailing by a bucket with less than 12 minutes remaining. As a follow-up, Rick Barnes’ club blew a 25-point lead to Iowa before needing overtime to finish off the 10-seed Hawkeyes. Against Colgate, it was the Vols’ defense that got them in trouble — allowing Colgate guard Jordan Burns to score 32 points including eight threes. 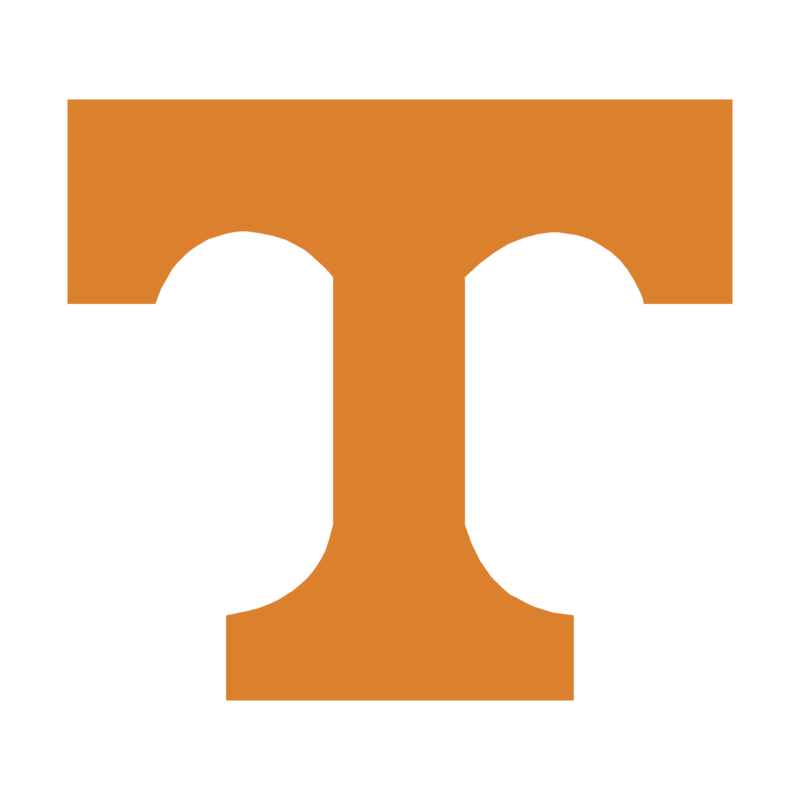 Versus Iowa, Tennessee couldn’t take care of the ball, coughing up 17 turnovers. Their next opponent, Purdue, has a scorer better than anybody Tennessee has seen yet, Carsen Edwards — coming off a 42-point game against Nova. 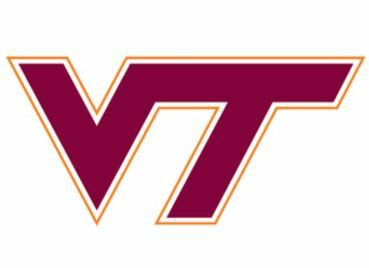 Virginia Tech is a much better basketball team when point guard Justin Robinson is healthy. Robinson made his return to the lineup in the Round of 64 after having not played since January 30th. He predictably struggled, but looked far more polished in VT’s second game against Liberty. When Robinson’s going, the Hokies have a nice inside-outside punch with Robinson and Kerry Blackshear Jr. Leading scorer Nickeil Alexander-Walker looks to be NBA bound and can really shoot the rock. 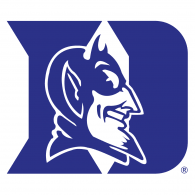 The Hokies will be facing the buzzsaw that is Duke, but they’ve beaten the Blue Devils once before and are catching their conference foes at a good time. This isn’t Matt Painter’s best team, but it may end up being his most successful. 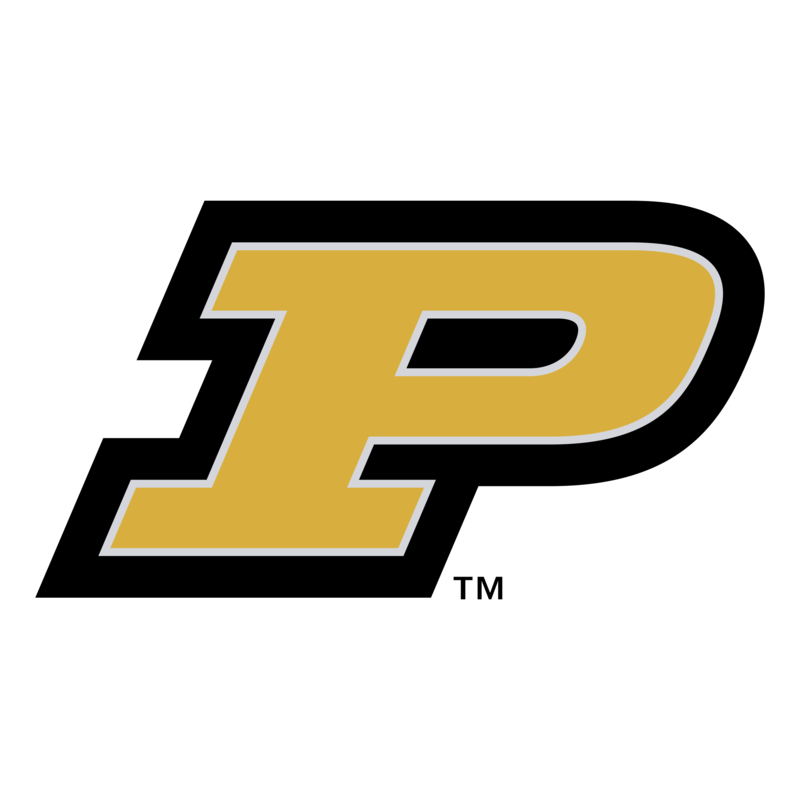 After losing Dakota Mathias, Vince Edwards, and Isaac Haas last year, the Boilermakers were expected to take a major step back in the Big Ten. Purdue answered with a dominant 15-4 record within the second best conference in the country, and is playing its best basketball of the year at the most opportune time. If Carsen Edwards has a few more big games in him, this Purdue team could shock some people. LSU’s roster is supremely talented. Point guard Tremont Waters runs the offense like a 10-year vet. Naz Reid has as much talent as any big in the country. Javonte Smart is a versatile slasher who can play some point. Skylar Mays is a lethal shooter even if his percentages have been down this year. Emmitt Williams and Kavell Bigby-Williams are tough enforcers who clean the glass. All they’re missing is a coach — which is typically a big deal. The controversy that mires the program will ultimately cap their success in this tournament, but they have enough firepower to hang with any team remaining. The 30-win Cougars continue to scratch and claw for national recognition. They beat six tournament teams over the course of the year, but remain an underdog against Kentucky despite the Wildcats likely missing their best player. Although the Cougars have an explosive backcourt which can carry them to victory, their lack of size could prove to be the deciding factor against Kentucky. Houston’s leading rebounder on the season was a 6-foot-3 guard, making it difficult to imagine they can hang on the boards with a team that features Reid Travis, Nick Richards, and EJ Montgomery. The Ducks are dancing their way to the Sweet 16 riding a tremendous hot streak of 10-straight wins. Lead guard Payton Pritchard has been fantastic, as has head coach Dana Altman, who has had to navigate throughout most of the season without star freshman Bol Bol. Oregon has been getting after it defensively, and completely shut down the Anteaters of UC Irvine after falling behind midway through the second-half. 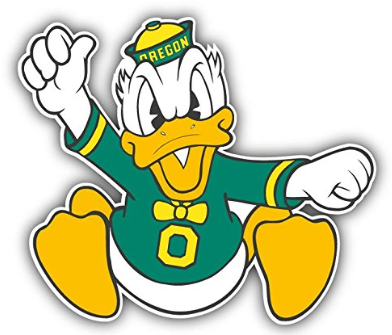 They likely won’t win the title, but their current run will have the Ducks in the top-25 to begin next season.